This is what Google calls single sign-on (SSO). Furthermore, you can access Help Scout from the top "More" menu of any Google service. 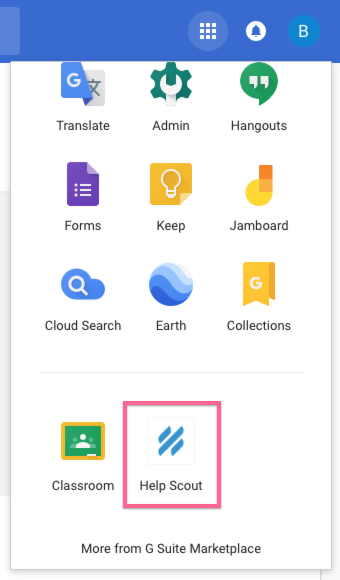 If you create a new Help Scout account by installing this app, you can seamlessly import G Suite users into your account with a few clicks. It saves a lot of time in having to set up new users in the system. 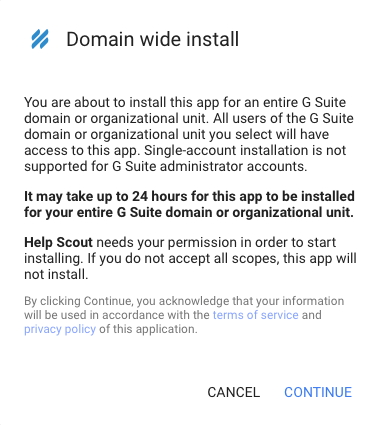 Before installing the App, a G Suite Administrator will need to enable API access from the Adminconsole. From the Admin Console, you can click Security → API Reference to see the screen below. Then, check the Enable API Access checkbox. 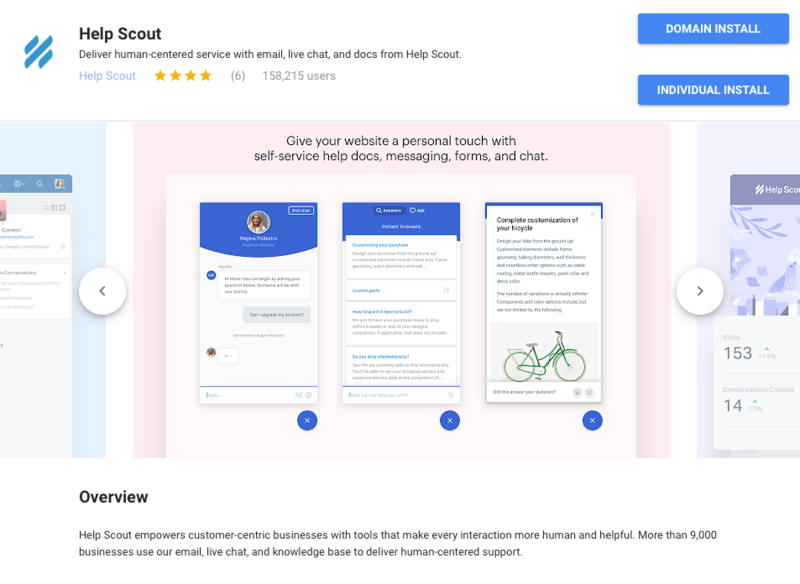 Click on this link to open the Help Scout app in the Google Marketplace, then click Domain Install. You can also get there from your G Suite Admin Console. Click the Marketplace Apps icon, then you can search for Help Scout on the next screen. Review and agree to the account terms, then click on the blue Continue link. On the next screen, check the checkbox, and click the blue Accept button. 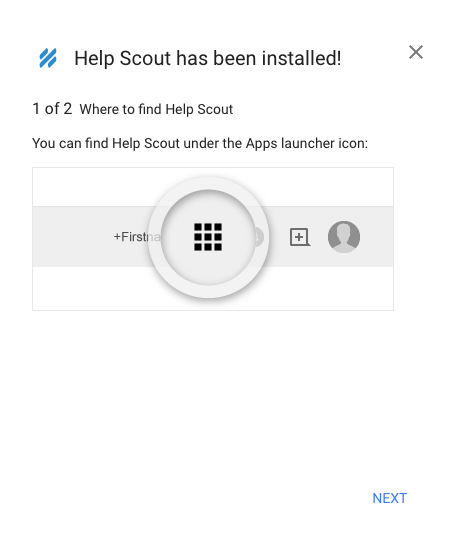 You'll see a confirmation window after Help Scout has been installed. On the first screen, click Next. 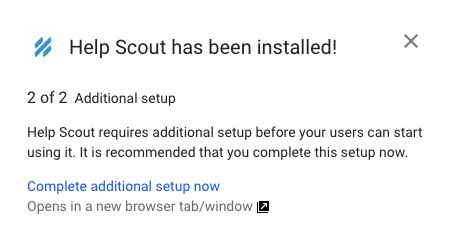 Click the Complete additional setup now link and you'll be taken to a screen where you can import G Suite users into Help Scout in one click. If you miss this step and want to return to it later, navigate directly to https://secure.helpscout.net/googleapps/settings/?domain=YOURDOMAIN.COM, substituting YOURDOMAIN.COM for your domain. 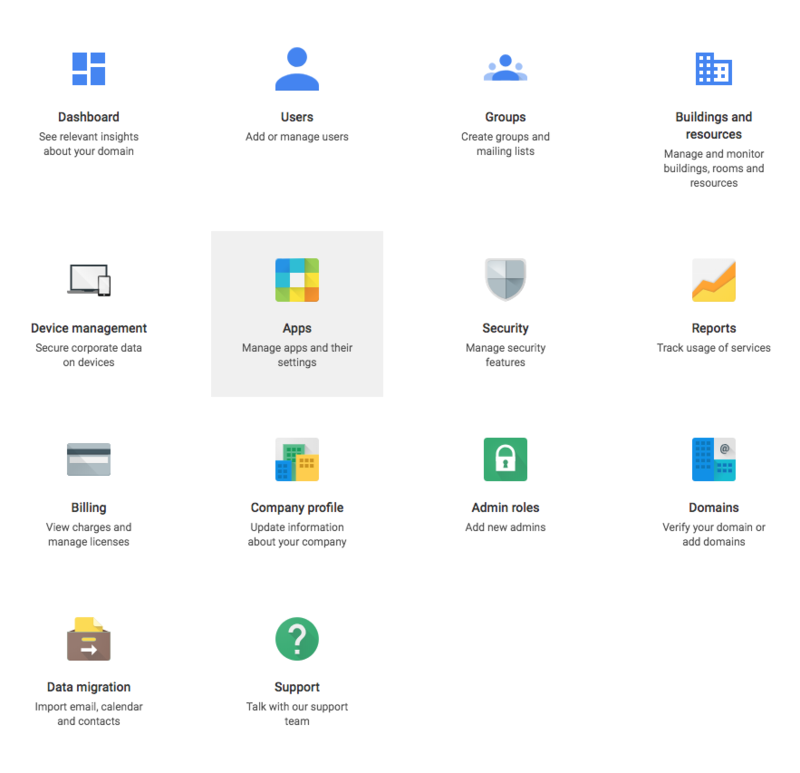 You will be prompted to import users from G Suite. Select the users you wish to import, and click the blue Import button. 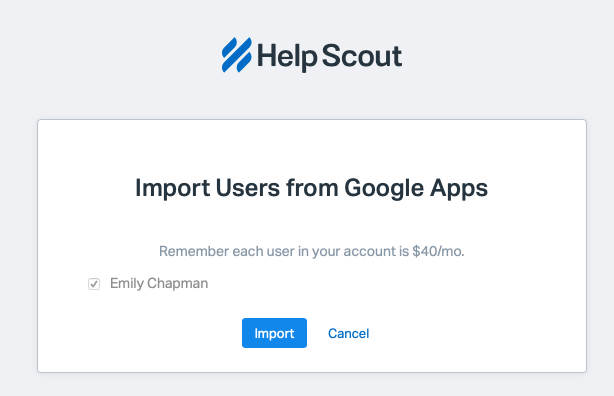 Now that the app is installed, to import users in the future, you can head over to Manage → Users in Help Scout and import G Suite accounts on-demand. 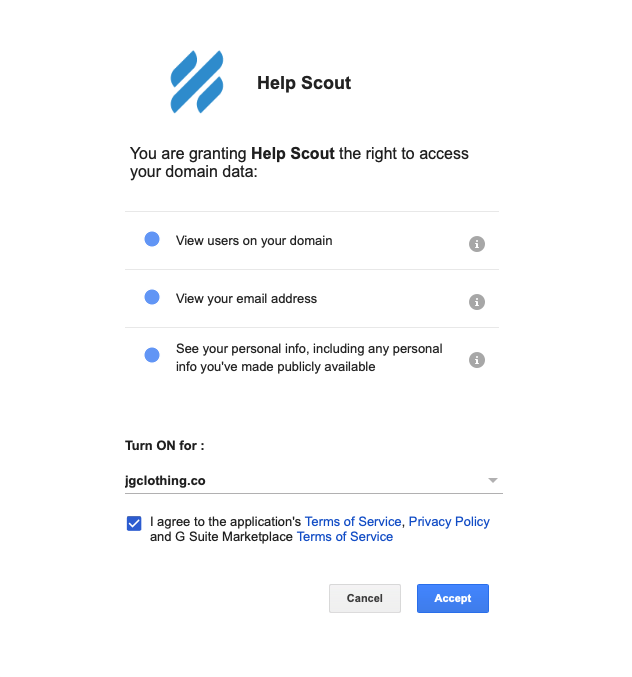 For enhanced security, you can disable Help Scout logins for all users from Company Settings. Leaning on Google's authentication means one less login that can fall into the wrong hands. If you have two-factor authentication enabled for your Google account, you'll be able to lock down your Help Scout account with the same security. When Force Google sign-on enabled, your Account Owner will still be able to log in with their Help Scout username and password. From the login screen, you and any other G Suite users can now click the Sign in with G Suite link and authenticate that way. The login screen will remember which you used last time and default to it moving forward. Alternatively, you can also log into your Help Scout account straight from Google! From your Gmail account, click on the G Suite icon in the upper right-hand corner, then select Help Scout from the app menu. You'll be automatically signed into your Help Scout account from there.